As dark as molasses with an earthy, unmistakable flavour of buckwheat. A little goes a long way with this honey, as its strong essence can overpower other flavours easily. 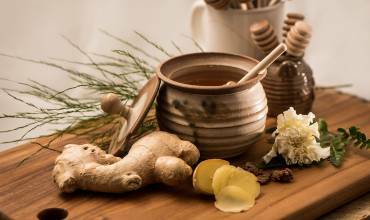 Its health and immune benefits make it an ideal addition to any diet year round. Traditional, beautiful golden honey that has been rigorously produced by our hard-working bees. 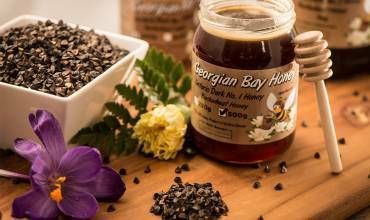 With a wide assortment of flowers to choose from in the Georgian Bay area, our unique brand of honey keep you coming back for more. Our creamed honey has the finest, smoothest texture gained from multiple days of mixing, resting and whipping until that velvety texture is achieved. A lot of hours go into transforming this honey and the results pay off. 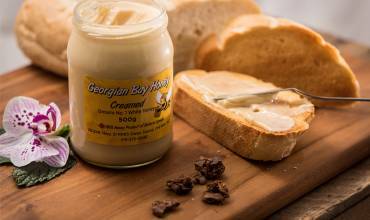 You won’t find another creamed honey like this. 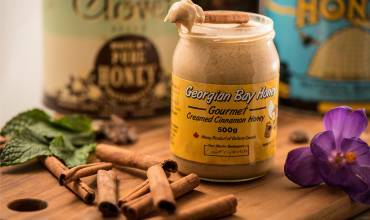 Imagine our velvety smooth creamed honey with the added immune goodness of cinnamon. 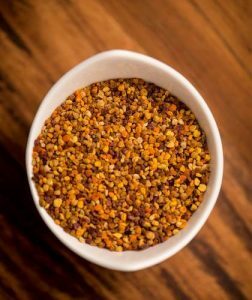 We have added a high quality organic cinnamon ground in the finest powder so that it does not detract from the creaminess of the honey. This combination is phenomenal. It’s like a blueberry pie that you can put on your toast. It still tastes like honey, but with an indisputable blueberry flavour. Our bees go crazy over the blueberry bushes, working hard to bring you that delicious goodness. Distinctly fresh and bright, this honey is on the lighter side of flavour profiles. We use a dried ginger so that the flavour of the honey is not diluted with any excess water, giving you a full burst of bright flavour in every scoop. We carry all sizes of all our honeys at our farm, ready for purchase for you to take home and enjoy. While you’re visiting, come see our honey house and state-of-the-art equipment that brings you such high quality honey. Browse by quantity to find which products we carry in bulk sizes. Our bulk sizes range from 30lbs pails to 45 gallon drums and are ready for repackaging, baking, cosmetics and more. Great quality at fair prices. Discover which honeys are available for resale in your store. 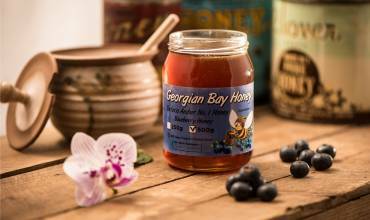 Our blueberry, ginger and cinnamon honeys make for a great specialty product that many other suppliers don’t carry, and come prepackaged and ready to sell. Once our bees have completed their work gathering pollen and making honey, it is time for extraction. In our state-of-the-art climate controlled hot room, we extract and dehumidify it to bring it down to the perfect moisture level. This makes it last forever. We gently filter out any unwanted hive remnants with the best sanitary stainless steel equipment available in order to bring you the best product available. We do our best in all of our honeys to preserve the natural benefits of honey. 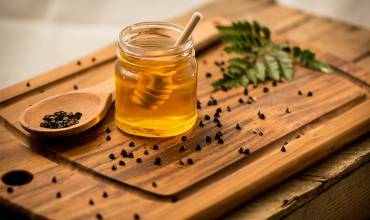 We protect the enzymes, antibodies, and structure of the honey to let it be in its most natural, enjoyable state to ensure that you receive a top-quality honey that will boost your immune system and strengthen the microflora in your digestive tract.